Prominent & Leading Manufacturer from Secunderabad, we offer filter lubricators and air lubricators. To meet the precise demands of clients, we offer a wide range of Filter Lubricators. These are manufactured from unmatched quality raw materials and using best available technologies. Our products are acclaimed for their unmatched quality, reliability and effective usage. One can avail these in various varieties and specifications. We hold expertise in offering a wide range of Air Lubricators. These are available in various specifications and varieties as per the precise demands of clients. Our products are acclaimed for their optimum quality, reliability and effective usage. With the availability in various range and specifications, these products are easily available with us. 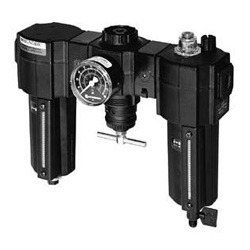 We offer these Air Lubricators at market leading rates.